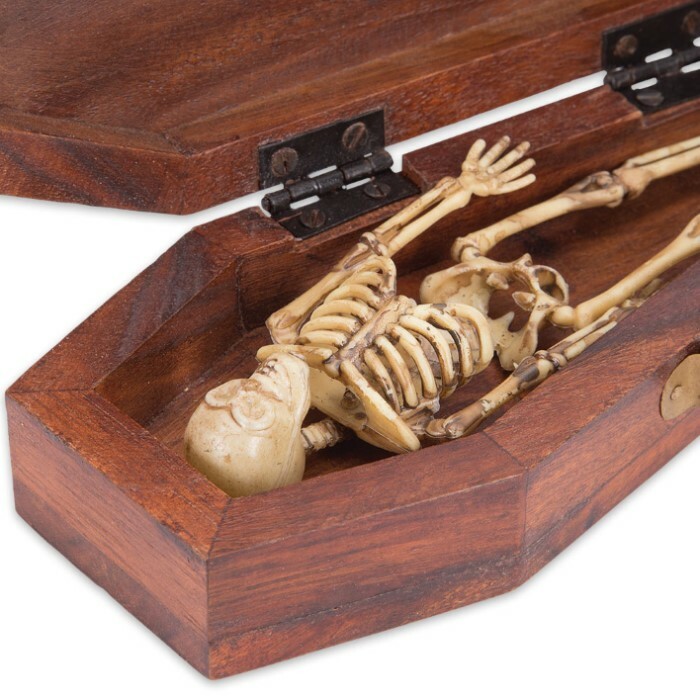 You’ll absolutely love our classic Wooden Coffin And Skeleton trinket box and home accessory. It’s perfect to add to your yearly Halloween décor or just have on your coffee table or desk as a conversation piece. The wooden coffin is a rich reddish-brown and has RIP burned into the lid. A gold-colored metal clasp allows you to lock your tiny valuables inside and you can “rest in peace” assured that the skeleton inside will keep them safe!